I no longer actively blog but do publish the Tim Cohn Digital Daily which features the most current technology industry news. 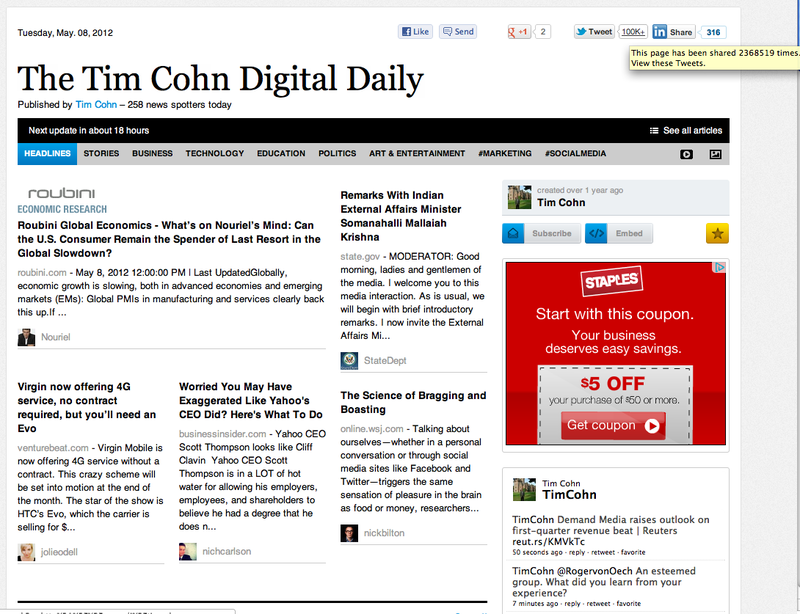 As of today, The Tim Cohn Digital Daily has been viewed 2,368,519 times. This entry was posted on May 8, 2012 at 5:31 pm and is filed under The Tim Cohn Digital Daily. You can follow any responses to this entry through the RSS 2.0 feed. You can leave a response, or trackback from your own site.